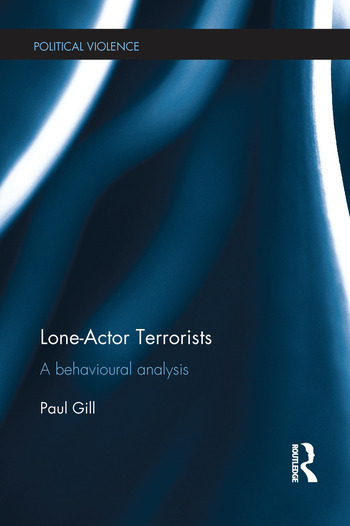 This book provides the first empirical analysis of lone-actor terrorist behaviour. Based upon a unique dataset of 111 lone actors that catalogues the life span of the individual’s development, the book contains important insights into what an analysis of their behaviours might imply for practical interventions aimed at disrupting or even preventing attacks. It adopts insights and methodologies from criminology and forensic psychology to provide a holistic analysis of the behavioural underpinnings of lone-actor terrorism. Is there a lone-actor terrorist profile and how do they differ? What behaviours did the lone-actor terrorist engage in prior to his/her attack and is there a common behavioural trajectory into lone-actor terrorism? How ‘lone’ do lone-actor terrorists tend to be? What role, if any, does the internet play? What role, if any, does mental illness play? This book will be of much interest to students of terrorism/counter-terrorism studies, political violence, criminology, forensic psychology and security studies in general. Paul Gill is Lecturer, Department of Security and Crime Science, University College London, and has a PhD in Political Science from University College Dublin.